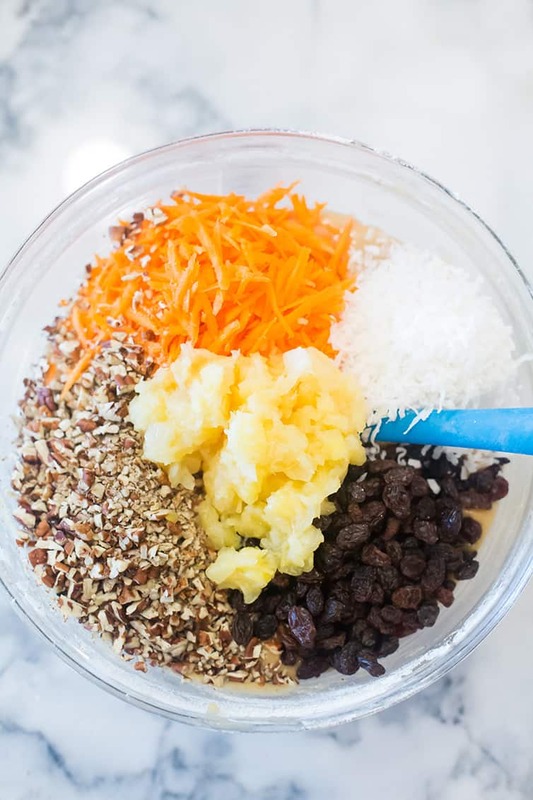 This is truly the best carrot cake recipe – it’s made completely from scratch, is supremely moist, and packed full of carrots, pineapple, coconut, pecans and raisins. Filled and frosted with a simple cream cheese frosting, this cake is an absolute winner on every level. Make it for Easter, Thanksgiving, or anytime you need a special cake! We’re only a few days away from Easter and we NEED to talk about carrot cake. It is, in my mind, one of the most absolutely underrated cakes out there. Most people love chocolate or yellow cake, while others go nuts over white or red velvet. It’s understandable, they’re delicious… but my gosh, carrot cake is SO GOOD. Plus, we have cream cheese frosting, which just throws it right over the edge. 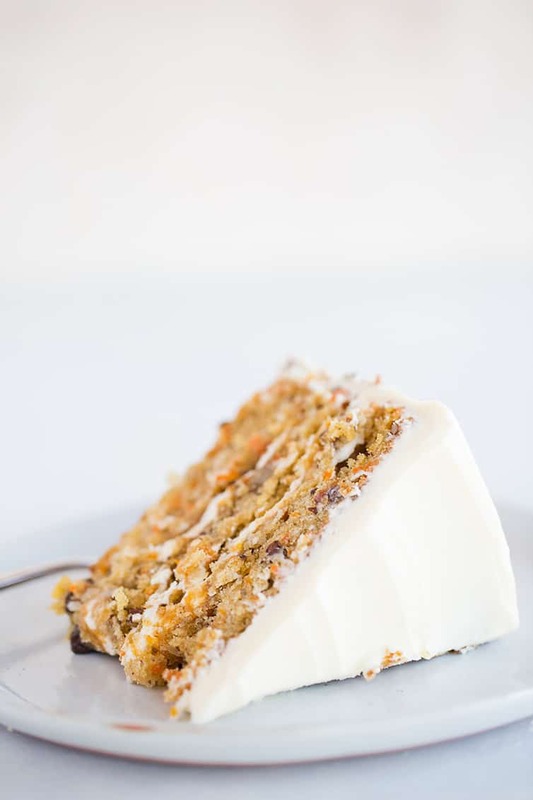 I’ve always been a fan of carrot cake, but on a weekend trip to the Outer Banks back when my husband and I were dating, we ate at the Outer Banks Brewing Station and for dessert had the most enormous, most delicious piece of carrot cake to ever grace my plate. I’ve been officially obsessed from that moment on. And if there was ever a time to wax poetic about this cake, it would be just prior to a major holiday when maybe, just maybe, you’re trying to decide what to serve for dessert. Are you a carrot cake purist? Or a carrot cake “everything-but-the-kitchen-sink”-er? 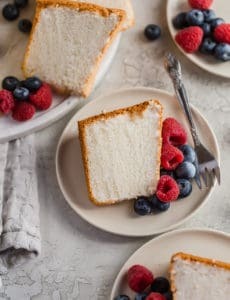 You can mix and match your favorite ingredients, but this cake is absolutely over-the-top amazing when you add them all in! Now let’s talk cream cheese frosting because, well, it’s so utterly amazing and just MAKES carrot cake. At first I was concerned that there wouldn’t be enough frosting because the frosting between the cake layers wasn’t THAT big, but once it all came together and I ate it, I think the ratio was absolutely perfect. The frosting wasn’t overpowering and let all of the flavors of the carrot cake shine. I also loaded it up with a high cream cheese to everything else ratio, so it’s not overly sweet either. This cake is made exclusively with oil, which is a key ingredient in keeping it nice and moist. For that reason, I do not recommend substituting butter in this particular cake. You can omit the coconut, pecans and/or the raisins in the cake without making any other adjustments to the batter, but the cake may bake more quickly so start checking for doneness sooner. If you prefer, you can bake the cakes in 8-inch pans, but will need to increase the baking time slightly. You can also bake this in a Bundt pan, but will need to increase the baking time. The cake can be prepared a day in advance and stored in the refrigerator. You can also bake the cake layers, wrap and freeze for up to 3 months, then thaw and assemble. The entire cake can be assembled, wrapped tightly and frozen for up to 1 month. The amount of frosting is enough to fill and cover the cake, but if you want enough frosting to pipe decorations, I recommend making a larger batch (1.5x). Cake stand is from Sur La Table. While carrot cake may look complicated and like a big kitchen endeavor, it is actually on the easy and simple end of the spectrum when it comes to cake baking. 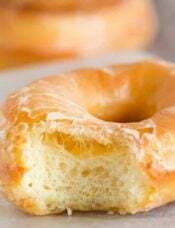 I mixed the batter totally by hand and the frosting takes just 5 minutes to whip up. Do not be intimidated! 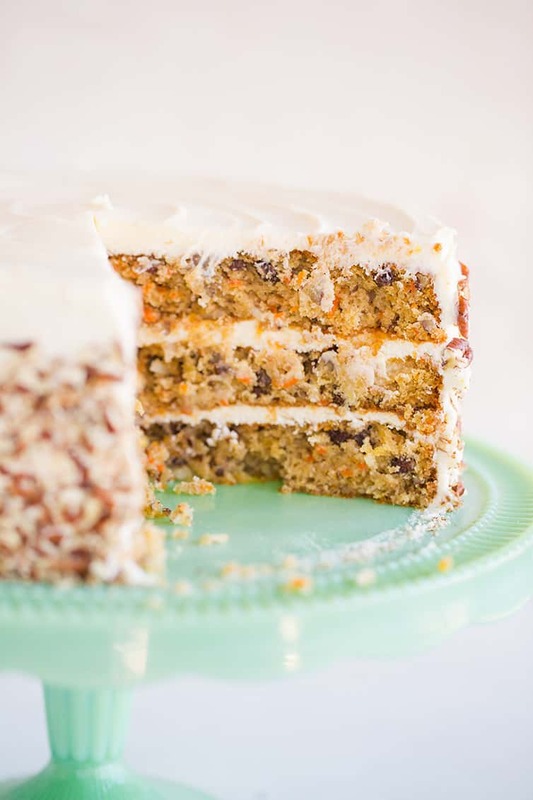 Whether you’re looking for a holiday dessert, a birthday cake, or just something a little outside of the ordinary, this carrot cake is both simple to execute and packs a wow factor that will make everyone beg for a slice to take home. 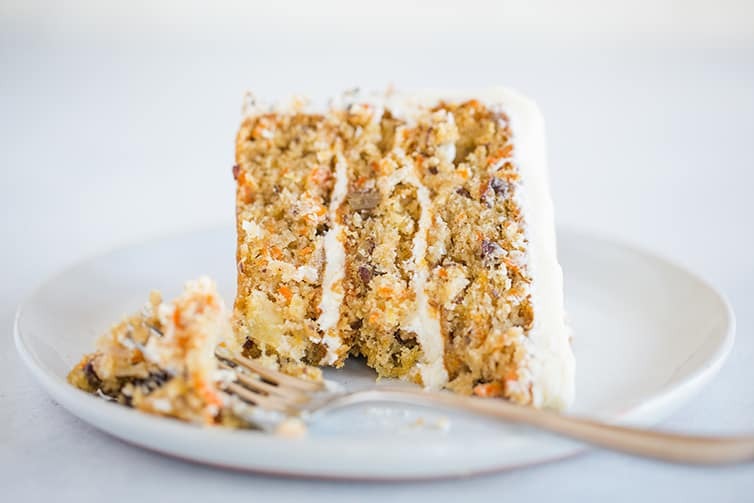 This is truly the best carrot cake recipe - it's made completely from scratch, is supremely moist, and packed full of carrots, pineapple, coconut, pecans and raisins. Filled and frosted with a simple cream cheese frosting, this cake is an absolute winner on every level. Make the Carrot Cake: Preheat oven to 350 degrees F. Grease three 9-inch cake pans, line the bottoms with a round of parchment, grease the parchment, then flour the pans and tap out the excess. Set aside. 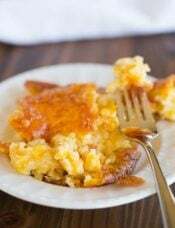 In a large bowl, whisk together the eggs, sugars, vegetable oil, and vanilla extract until thoroughly combined and there are no lumps of brown sugar. Add the flour mixture and, with a rubber spatula, gently stir until mostly combined. 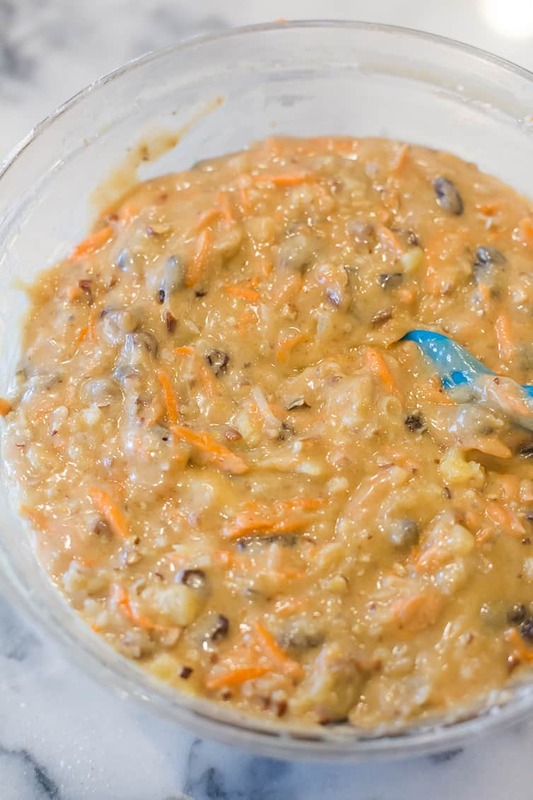 Add the carrots, pineapple, pecans, raisins and coconut and fold together until thoroughly combined. 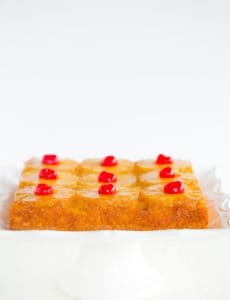 Divide the batter evenly between the three prepared cake pans and bake until a toothpick inserted in the center comes out with clean, 22 to 28 minutes. Cool the cakes in the pans for 10 minutes, then turn out onto wire racks to cool completely. Make the Cream Cheese Frosting: Beat the cream cheese and butter on medium speed until smooth and creamy, 1 to 2 minutes. Add the vanilla extract and beat to combine. Add the powdered sugar and salt and beat on low speed until combined, then increase speed to medium-high and beat until light and fluffy, scraping the sides of the bowl as needed. Assemble the Carrot Cake: Place one cake layer on a serving platter and spread with 1 cup of the cream cheese frosting. Top with a second cake layer and again spread with 1 cup of the cream cheese frosting. Place the final cake layer on top, top-side-down (so the bottom of the cake is actually facing up), then frost the top and sides with the remaining cream cheese frosting and garnish the sides with chopped pecans, if desired. 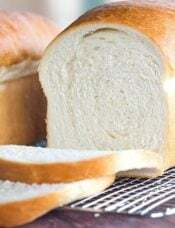 Serve immediately or refrigerate, covered, until ready to serve. The cake can be made up to 1 day in advance and leftovers can be stored in the refrigerator, in an airtight container for up to 1 week. My family has used this recipe for baking carrot cakes for 2 generations now. We add ground pecans and coffee to the cream cheese frosting. This carrot cake is worthy of the most auspicious celebrations or just to satisfy a yen for having it even when there’s nothing extra ordinary to celebrate but the gift of being alive. Can this recipe be done as cupcakes? How would I go about making this cake in a smaller size? Like 4-6 inches? I haven’t made this cake, but if the original recipe is for a 9″ cake, I normally cut the ingredients in half to make a 6″ cake. I set the timer for 20 minutes and then watch it to see when it’s done. Amazing – Mouth Watering & delicious cake !! Hello! A while ago I made your carrot cake recipe that turned out as a trifle when you made it. I think the cake broke so you were creative and put it in a great looking trifle dish. I was able to make it into a delicious layer cake though. It was delicious, and now I cannot find the recipe. I don’t remember that recipe having any pineapple in it. I don’t really like pineapple so that cake recipe was perfect. I was wondering if you could repost that carrot cake recipe again because it was so good!!! Hey Michelle- want to make this cake for this Father’s Day weekend but would I be able to bake it in a loaf pan?? HE and I are a lover of carrot cake but the kids won’t go near it. Hi Rania, If you did it in a loaf pan, you would need to reduce the recipe by at least half I would think, and then adjust the baking time (increasing). Unfortunately I have not created an egg-free version of this cake, I’m sorry! 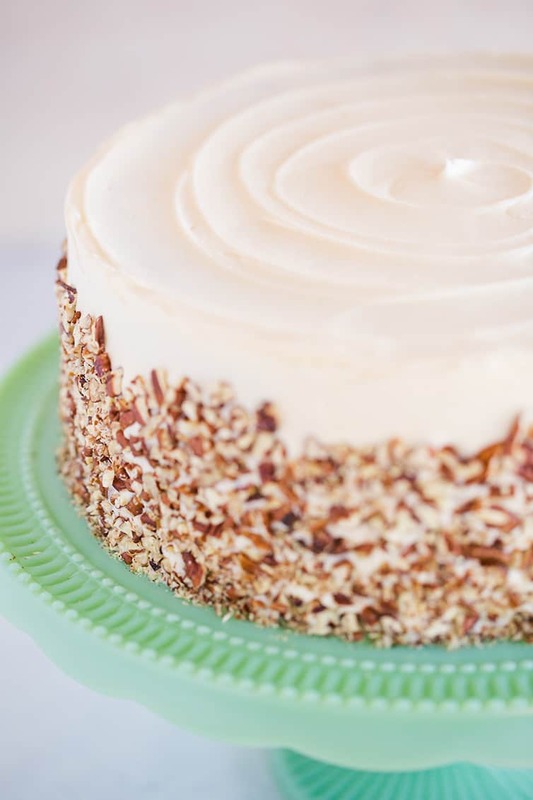 I love, love carrot cake and will be making this next week. Unfortunately, there is a pineapple allergy in the group. I have always used this same base of cake with the oil and almost all of your ingredients. 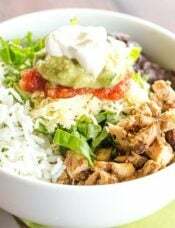 Is it ok to just omit the crushed pineapple ? I made this a massive single layer then cut it in two. The icing was enough and the cake took about 1 hr 45 min to bake. It’s a birthday cake for someone special. Incredibly moist and delicious ! Best carrot cake ever! I made it for Easter and everyone loved it. I want to know if I can make this recipe into cupcakes? I am going to leave out the coconut. Do I need to adjust the temp and baking time? Thank you! Hi Sharon, I haven’t made this particular recipe into cupcakes so I couldn’t say for sure. Cupcakes will likely cook for a bit less time, but you do not need to adjust the temperature. 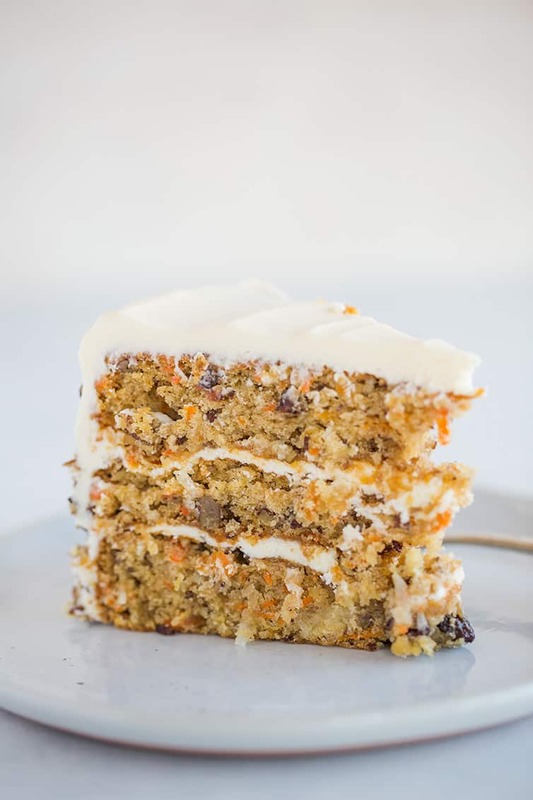 Can’t tell you how much I count on your recipes and I love the blog… My Question is can I bake this carrot cake as two 9″ layers instead of 3? I have 3″ high 9″ pans. Thank You! Too sweet for my taste,…will try again with less sugar. Carrot cake is one of my favorite cakes, too! I’m not much of a baker, and have never made a cake. But this looks manageable enough! Hurray, I made the recipe yesterday and it was phenomenal. Love this cake. Yay! So thrilled to hear it! Hi Ghada, I haven’t tested it with cupcakes yet! Can this carrot cake be baked into cupcakes? Thanks. Thank you so much Ela! I haven’t experimented with cupcakes, but it’s on my list to try! Yes, you can make into cupcakes just cut the time to about 25-30 min and fill the cupcake liners about 2/3 full. 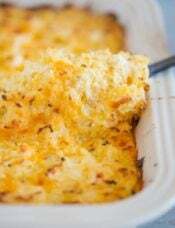 This recipe couldn’t have come at a better time! I promised my Mom I would bring dessert for Easter dinner and was definitely thinking carrot cake. 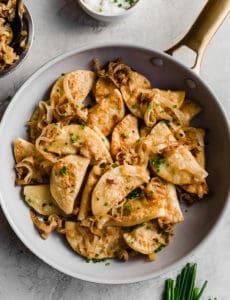 I’ve seen a lot of recipes but none of them looked like winners until I saw this one! I can always count on you to have the perfect recipe for my needs. Thank you! Ahh what good timing! I hope your family enjoys it as much as we have! Happy Easter to you! I made this exactly as written and it was delicious! It was super moist, chock full of goodies and the cream cheese frosting was the perfect compliment. It was exactly what I was looking for and everyone loved it! Thanks again Michelle! I’m in the purist camp. The first carrot cake I ever had was baked in a 9×13 pan and had no pineapple, carrots or raisins. It remains my favorite. How is it a carrot cake without carrots? Did you make a typo? This cake looks soo delicious!! I agree…you can’t beat a good carrot cake. Carrot cake and Red Velvet are my very favorites! I am usually in the “purist” carrot cake group, but my oh my, who WOULDN’T love a slice of this cake!! Well, this looks pretty good, but I have always thought the best Carrot Cake I’ve ever made/had came from Juliet Mills in the 500+ page Celebrity Cookbook by Johna Blinn (1981). However, when I compared recipes, I realised that they are almost identical, except that mine is the purist version, without pineapple or coconuts. 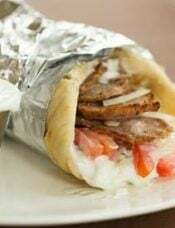 Really good – can’t make it too often! While loving a good quality chocolate cake with creamy white frosting, I have to agree with you on carrot cakes. They are quite special and over the top delicious. This year for Easter dessert I’m going to forgo carrot cake and try a good southern Hummingbird Cake. The ingredients are pretty much the same, only replacing the carrots with bananas. I’ve never made a Hummingbird Cake before, but with enough ready-to-use bananas sitting on my counter I’m going for it this year. However, I am going to use your cream cheese frosting recipe for my Hummingbird Cake as that is what is typically used on this cake, and your recipe sounds like the perfect ratio of ingredients. Thank you, Michelle! I’ll have to try doing a video one of these days, thanks for the suggestion. I love hummingbird cake, too, and you’re right – super similar except for the swap of bananas and carrots! YUM! Hi Linda, You don’t need to adjust the cake (except for the baking time, will be slightly longer), but you may want to cut the frosting down if you don’t like a ton of frosting. I hope your husband enjoys it! Yeh Yummy! !I love this cake!